In my last semester of my PhD in Mechanical Engineering at Ryerson University, I attended a research event at the School of Graduate Studies. There, I learned about the Globalink Research Award and decided to apply immediately. My host supervisor is Dr. C. Ozgur Colpan of the Mechnical Engineering department. Dr. Colpan was interested in my PhD thesis, which explores solar energy and thermodiode panels, so he asked me to give a lecture to the university’s faculty and graduate students. 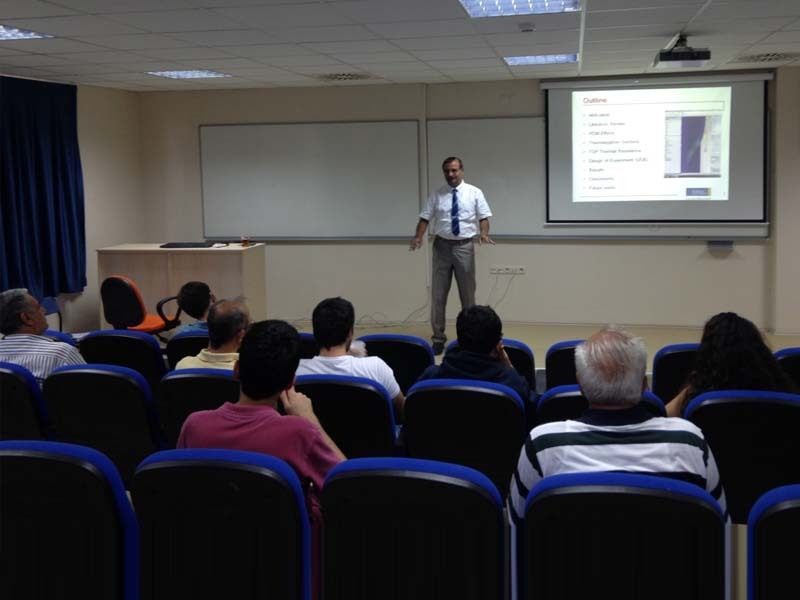 I presented my lecture, “Effects of PCM Thermal Properties and Thermodiode Panel (TDP) on Buildings’ Energy Demand and Indoor Temperature” on September 26, 2014. It was my first trip to Turkey, so I was excited to explore the city and cultural monuments. Izmir is a sunny city! I’ve worked on many solar projects in Canada, but we typically didn’t have enough sun to validate our research findings. The Globalink Research Award gave me a chance to work on a solar project right under the sun and apply my conclusions to the solar simulation model. I worked on a team of two senior undergrads and one master’s student to optimize a parabolic trough solar collector to produce electricity. Most importantly, my host university supervisor appreciated my knowledge of simulating the sun and predicting the results using the computer model.